Can you tell Good carbs from Bad carbs for losing weight? I spend a lot of time reading about vitamins and nutrition, even though I have 3 decades of experience. I like to keep up on the latest trend in nutrition. You have probably read a lot of articles by experts and still hopelessly confused. There seems to be as many opinions about good and bad as there are items in the market. All those opinions make it even harder for the average person to figure out which end is up. For the health articles and diet explanations available, I will try to make it easy. You have to understand about good carbohydrates and bad carbs so losing weight is simple. I know that wasn’t a very detailed list, and that is because carbohydrates are so abundant. To classify all carbs as bad carbohydrates or good carbohydrates is impssible, when learning how to live a healthy lifestyle. To understand exactly what carbohydrates are, what they do, which are the best carbs they have to offer can be important. 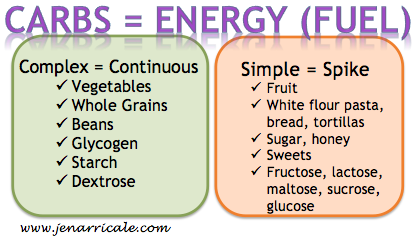 Carbohydrates can provide the body with the main source of energy. Carbs are broken down during digestion into sugar molecules which are absorbed into the bloodstream. They provide your body with a steady supply of blood sugar so your blood sugar levels are stable. 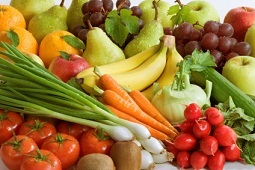 Many natural sources of carbohydrates (vegetables, for example), are low in sugar. Carbs are a good source of fiber, which aids in digestion and helps lower cholesterol. There definitely is bad carbs. We need to make sure we aren’t eating the wrong kinds of carbohydrates which are the high in sugar. Excess carbs are converted to fat and stored by the body, while certain carbs are immediately absorbed into the bloodstream. This can cause a spike in blood sugar levels, leading to diabetes and obesity. So how can you know which carbs are the bad carbs to avoid that will spike blood sugar levels? Simple carbs are carbs made of a single sugar chain, while complex carbs are made of multiple chains put together by either starch or fiber. Fructose, the sugar found in fruit, is a simple, (bad) carbohydrate. I would not advise cutting fruit out of your diet for the rest of your life. One fruit a day is fine it will not bring up your blood sugar. Meanwhile, the carbs in most pastas and breads are complex carbs. Plenty of people say drop those carbs from your diet except under extremely rare circumstances. The ultimate goal is to get the benefits of whole foods which are the carbohydrates you’re putting in your body. Furthermore, there is a way to ensure you’re maximizing the benefit of the carbs you eat. Try to eat them as close to natural as possible. Fruits, vegetables, beans and legumes, and whole grains (particularly sprouted whole grain) are your best carbs. They will keep your blood sugar at an even keel. The process by which most foods (Carbohydrates) are packaged and processed strips them of their fiber content. They also kill as many vitamins and minerals, turning good carbs into empty, bad carbs. Keeping your blood sugar steady is an essential component of losing weight and diabetes prevention. When it comes to maintaining steady blood sugar levels, use the glycemic index. Some foods are cause your blood sugar levels to rise. In conclusion, Try our all natural Fat Burners for ripped Abs; For more information just click any link. Thank you for your input I write my articles so they are informative and readable and I appreciate your comment I will keep pumping more material into my site Take care Roger.